Studies have proven that oral health can impact total wellness. 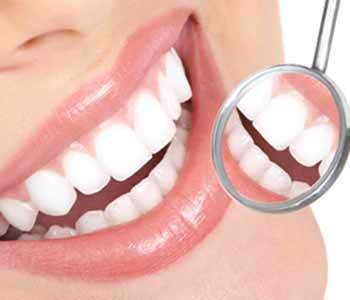 Holistic dentistry focuses on using safe materials and the least invasive methods available for treating conditions of the teeth and gums. At South Lakewood Dental, our team focuses on overall health and what’s in the best interest of our patients in Lakewood, CO when we are developing a treatment plan. Holistic dentistry focuses on improving the patient’s general health through oral care. Whenever a patient has an issue, great care is taken to determine the best course of treatment. We utilize only nontoxic, biocompatible materials that are safe in all our dental services. Research has shown that healing is better and adverse reactions are minimized with biocompatible materials versus some traditional dental materials. Promoting total health is a core practice of holistic dentistry. When patients experience recurring issues, we take the time to investigate the root cause. There are many health conditions that originate in the mouth. In certain cases, bacteria from certain conditions such as gum disease can travel to other areas of the body and cause further medical issues. Treating gum disease and restoring oral health often leads to an improvement in other symptoms as well. Holistic dentistry always utilizes the least invasive means of treatment possible. An example of this is gum disease. Many gum disease treatments can be invasive and harsh. At South Lakewood Dental, we utilize safer, gentler options. Your health is our top priority. When you visit South Lakewood Dental, we are your partners in wellness. To learn more about holistic dentistry and the general, restorative, and cosmetic procedures we offer, call (855) 233-0023. Our team is happy to answer any questions you may have about the benefits of holistic dentistry.